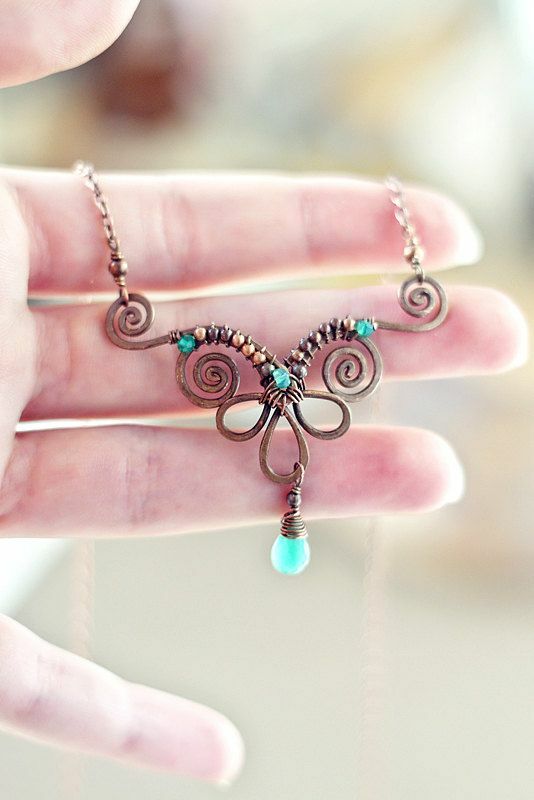 Wire wrapping is one of the oldest techniques for making handmade jewelry. As a matter of fact, wire and beaded jewelry made using wire wrapping techniques date back to thousands of years BC. The technique of creating wire jewelry is done with some jewelry wire and material similar to wire. Wire components are then connected to one another using a variety of mechanical techniques with no soldering or heating of the wire. Frequently, in this approach, a wire is bent into a loop or other decorative shape and then the wire is wrapped around itself to finish the wire component making that loop or decorative shape permanent. Because of this technique for wrapping wire around itself, this craft is called wire wrapping. Due to modern technology wire wrapping techniques are not frequently used for mass-produced jewelry because machines can cast (mold) jewelry components faster, more cheaply, and more precisely. Currently, the wire wrapping jewelry creation approach is primarily deployed by individuals which results in a creative and custom end product.